SEPTA, West Chester,Pa. 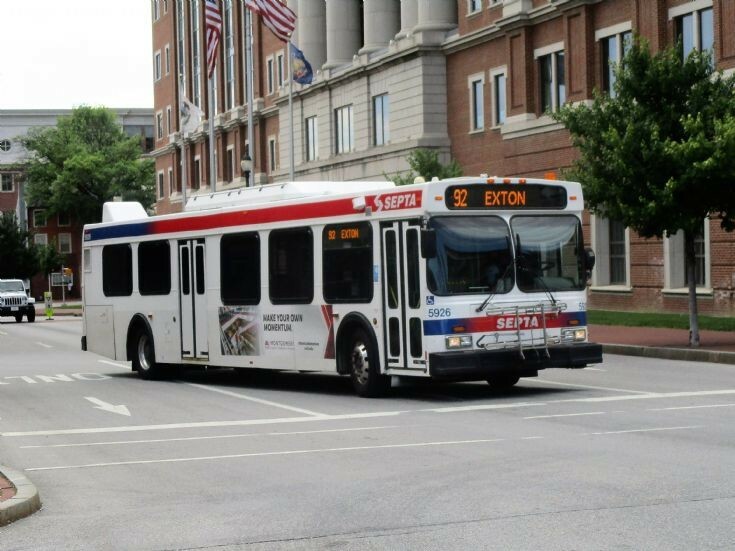 A SEPTA Suburban Div.New Flyer D40LF is seen on Rt.92 in West Chester en route to Exton,Pa. on 28 June 2018.